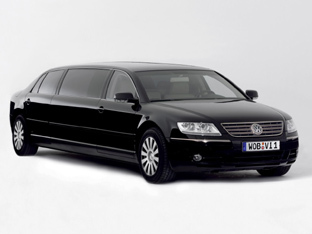 The Volkswagen Phaeton Lounge limousine was revealed at the 2005 Dubai Motor Show. 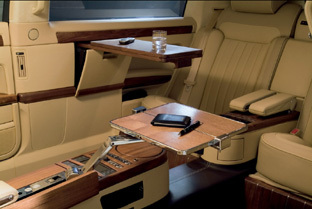 Desiged by Volkswagen Individual, a styling and tuning division of Volkswagen, the Phaeton Lounge measures 22' 4" (6.8 meters) in length, and required 3 Phaeton bodies to complete. Due to its size the Volkswagen Phaeton Lounge has an electronically limted top speed of just 112 mph, but this vehicle was built for comfort, not speed. The rear passenger compartment seats 4 in complete luxury. Features include fridges, 17" LCD TV's, dvd players and wireless internet connections, all laid into wood and leather trimmed panels.